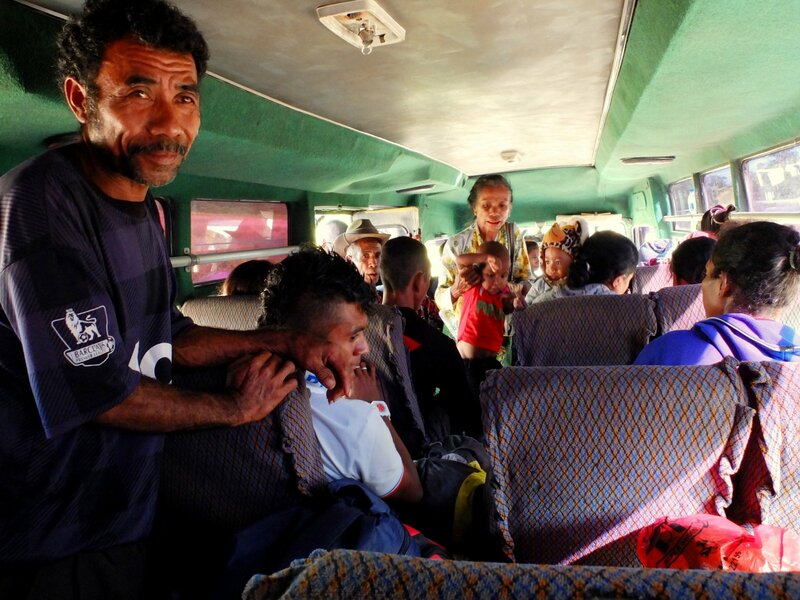 On the road in Asia's newest nation: Timor-Leste • Drop the tension! ← Dili. History of Timor-Leste. 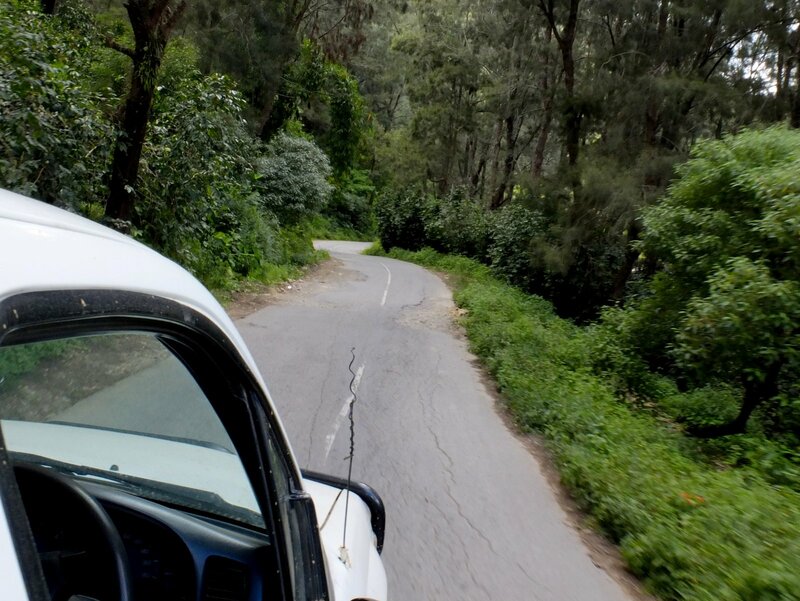 The bus pulls out of Dili and starts it’s steep ascent. It’s loaded up with people, luggage and bags of rice. Inside and out. 4 people share the seat across from us: grandma, mother and 2 children, trying to avoid my gaze. However, young boys, who can’t be much older than 19, seem to be running the operation and their cigarette smoke, blasting music and testosterone dominate over the other passengers. The aging engine groans, in its upward struggle. Dili, the sea and further out Atauro Island, are visible below us for the first hour, as the climb reaches more than 1000m above sea level. My ears pop. The bus stops a couple of times and the adolescent males open the engine hatch, hit something with a spanner and it comes back to life. The ride is a bumpy one because of the unbelievably bad condition of the road. It’s hard to find a stretch of asphalt longer than 10m that doesn’t have a pot hole in it, making it hard for the bus to gain any speed. It seems just when he’s able to get it into third gear, there’ll be another great whopping hole and it’s back to first. I brace myself for sudden breaking and feel my whole body jolt down into hole and again on the way back up onto the road. Sometimes the driver can maneuver around the holes, crossing over into the other lane or using the thin, gravel shoulder. He probably drives this route everyday, but I’m still nervous watching oncoming motorbikes zooming around the turns ahead. More commonly nothing more than a thin neck of bitumen remains of a road that’s slowly washing with the weather into the abyss, off the hillside. 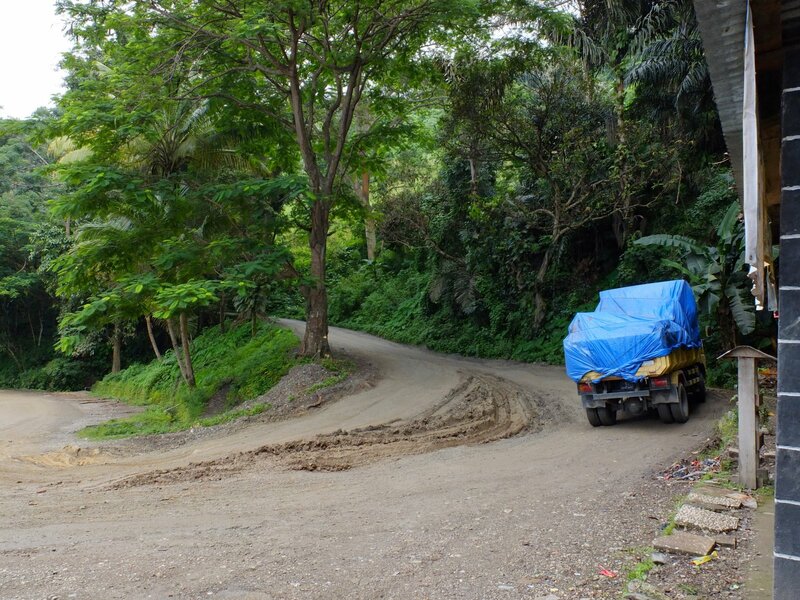 Mud, dust and pot holes: a truck dodges a mud pit on the main inland road on the steep climb from Dili. 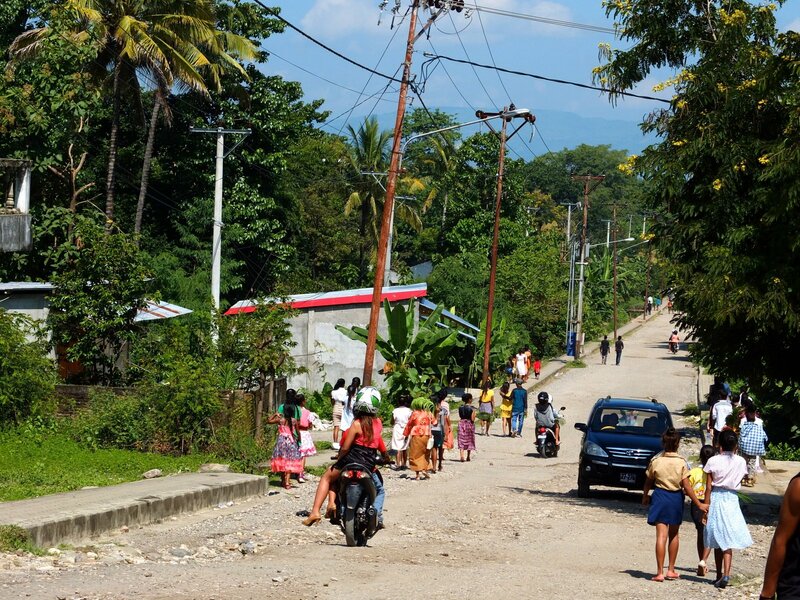 A small road in Timor. Water has worn deep channels into the road. We were lucky our friend driving was a confident 4-wheel driver. 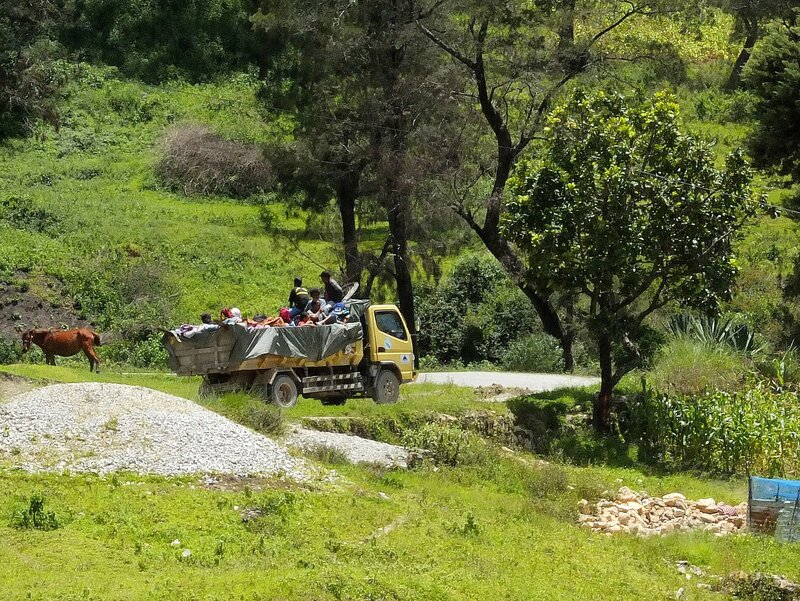 The back of trucks are commonly used as public transport in Timor-Leste. Can make for a dusty trip, however does provide better ventilation form the cigarette smoke. I remember all the times I’ve been annoyed at speed reductions caused by road works on roads back home. 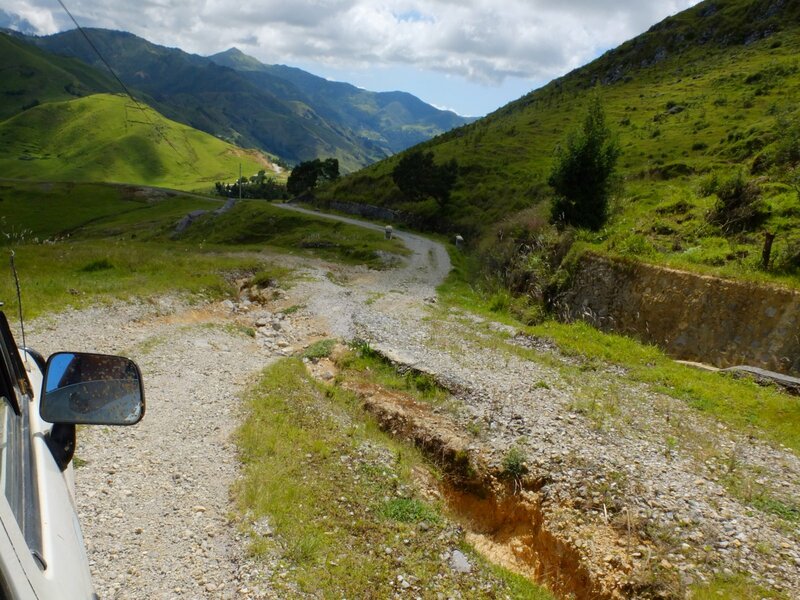 But here in Timor-Leste I see just how hindered the country is by the condition of it’s roads. 70-90% of the Timorese population (an accurate census doesn’t exist) live in ‘the districts’ outside of the bustling capital, Dili. And the distribution of anything, be it food, mattresses, health professionals or drinking water, to these areas is made almost impossible by these roads. Transporting stuff is hard – so how can industry develop? 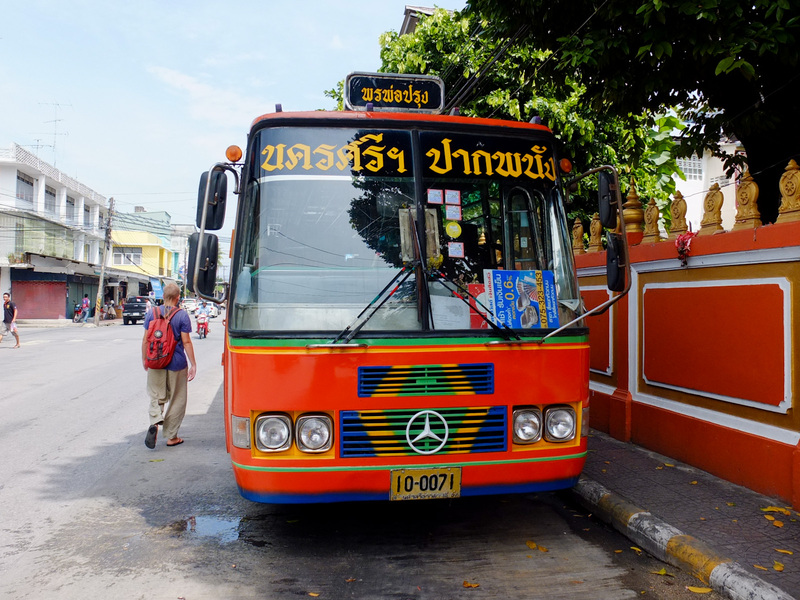 The mobility of people is difficult – so how can people access services? From the landscape passing by my bus window, I see Timor is not the lush green island I’d pictured when thinking about South East Asia. It’s very dry here. 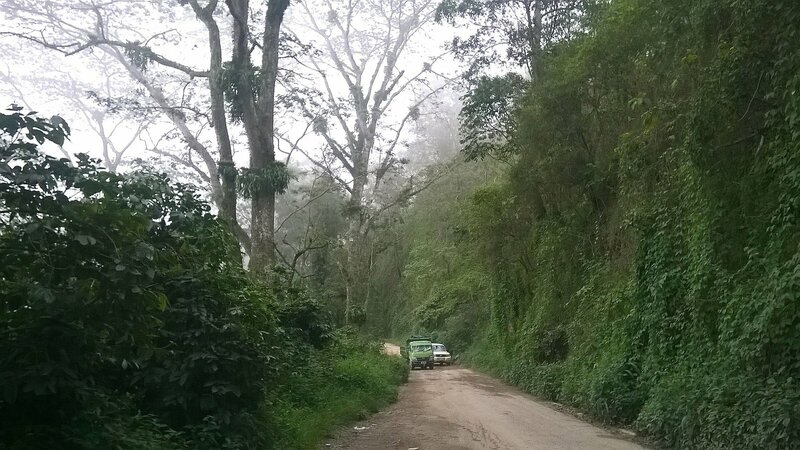 Some bends in the road bring me to places that look totally like Australia, eucalyptus and all. Another bend to the other side of the hill and I’m in a forest of tall trees, with leaves that seem to float on the canopy and smaller bushy trees, with waxy leaves covering hill slopes. Later I learn these are coffee trees. The pride crop of Timor. Served black in china cups. Grinds brewed in hot water. Take care on the last sip. August is the harvest month, with people moving like hunter-gatherer across the wild plots of land, collecting the red coffee beans. In the west we call it agro-forestry. 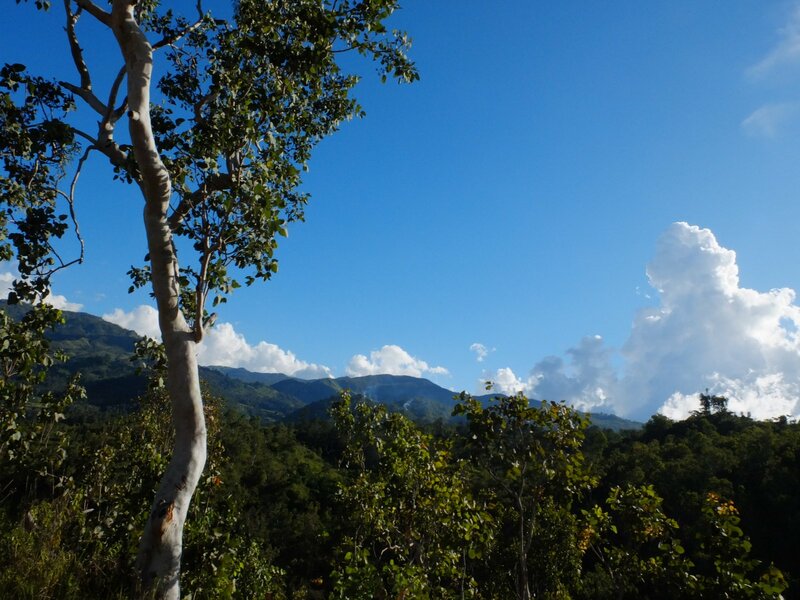 In Timor, that’s just how it’s grown for centuries. The other side of the hill: tall trees and coffee. I’ve already learned that Timor doesn’t yet have industry set up. No products are being manufactured here, so everything is expensive, as it’s imported and then needs to be distributed…. A lack of industry makes for a lack of employment. Life is hard, especially in the districts. Electricity and running water are luxuries only the richest can afford, and running hot water doesn’t exist. There are places where drinking water is in-affordable and locals risk the diseases that may be present in the river water. If the river doesn’t dry up. There are certain times of the year in which many people can only afford to feed their families 1 meal a day. This is the country neighbouring Australia. We visited Timor in the wet season. In the dry, water becomes a scarcity as many rivers dry up. 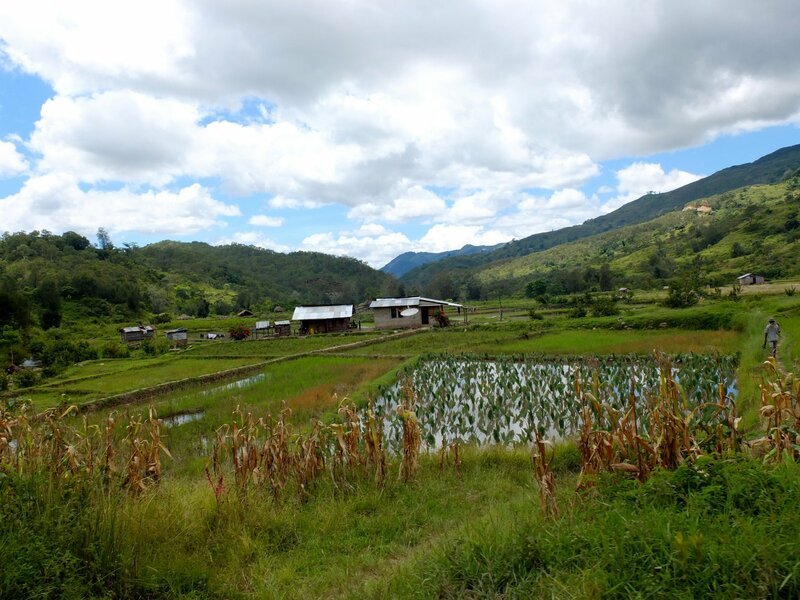 Rice and corn growing in the flat valleys of Aileu. Here, the domestic food production is poorly set up. Despite the bountiful rice padi we’ll see in the western districts, we’ll be served rice imported from Thailand in Maubisse. The money leaving for overseas, rather than providing a job for those in the neighbouring districts. And we’ve been shocked to find it’s cheaper to buy frozen, supermarket chicken imported from Brazil than a skinny Timorese chicken, running round a local village (or even Dili)! Winding through the mountainous roads of the districts I started noticing these funny, square traditional houses, topped with tall, round straw roofs. Uma Luriks: House of the spirits. Sometimes standing lone on a distant hill. Sometimes dotted in between the bamboo Indonesian style housing. Obviously part of everyday functional life. The animistic traditions, present long between the Portuguese brought Catholicism, are well alive here – in fact many families are constructing new Uma Luriks today. Later, we’ll get to inspect a few of these up close and even peak inside. 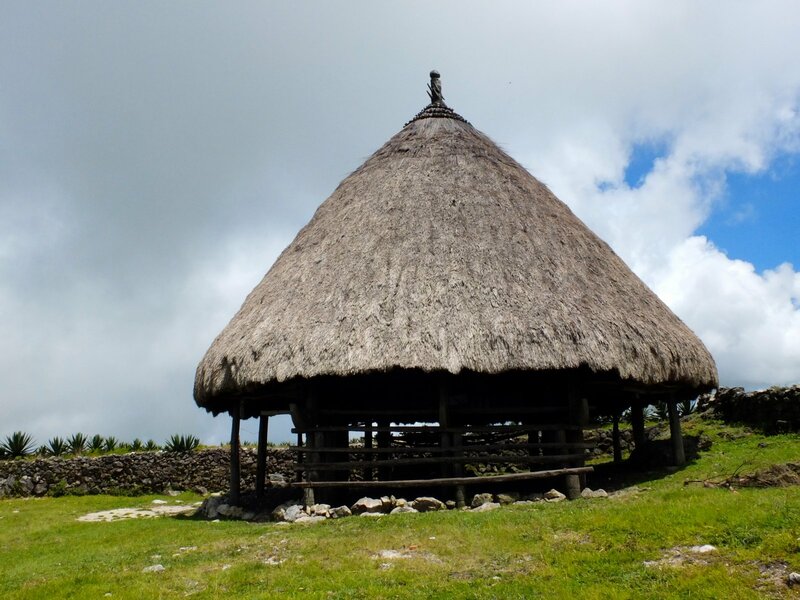 The construction is traditionally without use of nails, carefully carved tongue and groove hold the houses together. A motif of 3 reappears. The local we’ll ask about this won’t know why – the reason perhaps lost through the course of time and decades of brutal occupation – but he’ll say it fits well with the holy trinity. We’re told families keep their most sacred objects inside these houses, everything from buffalo horns to Portuguese flags. The one we peak in will be simple, a small fire going out and places to sleep. A government initiative has been bringing solar panels into villages, providing lighting at night for the first time in some places. My eyes dig the striking contrast between the modern panels with the traditional houses. Uma lurik are often dotted between the other buildings in a rural Timor street. Up-close with an Uma Lurik. The wooden square house is hardly visible under the cone roof. The four horizontal logs are steps leading up to the house. 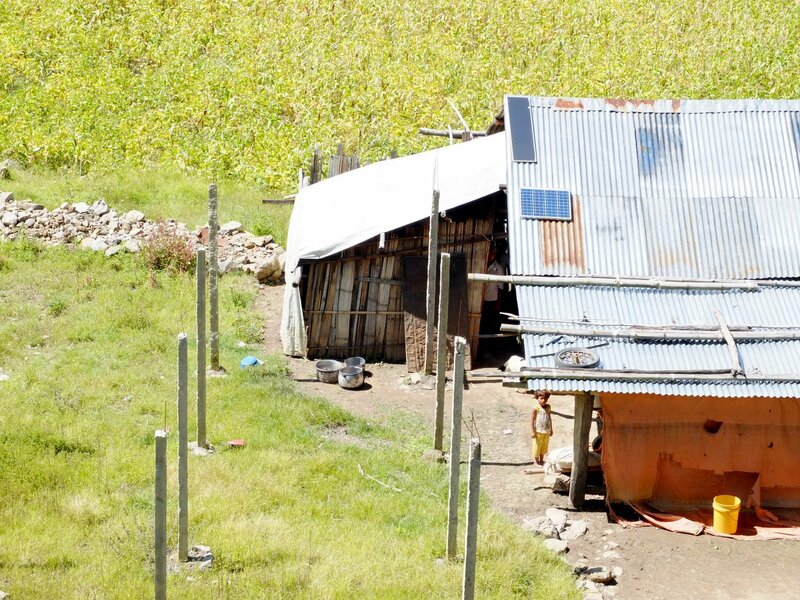 Solar panels are now a common sight in the Timorese villages. Unfortunately, current technology means they must be replaced every 5 years – an expense that may be too great for the Timorese government. A NGO worker friend will later tell us the Timorese were traditionally mostly mountain people. Living higher to escape the disease load of the mosquito infested lowlands. The Indonesian occupation saw many people forced to the flat coastal areas – easier to control the population when you can see them. The scar of this displacement lingers on for families today. 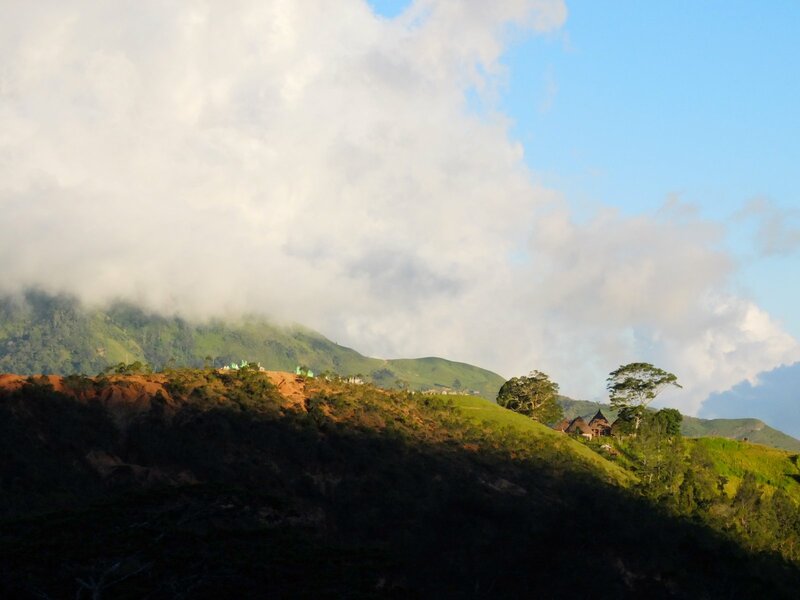 Despite being born in Dili, for many Timorese the district of their parents is home and essential to their identity.But returning to their homeland is not so easy. In many cases someone else has moved into their house and there is no way to prove the ownership. Ownership usually depends more on memory and traditional law than paper. And after all, any paper has long been destroyed. Funny that we use a material as fragile as paper to store our most important information. Really that’s the last thing that’s going to survive a war. I became very aware of the abundance of animals in Timor early. Even in Dili, the neighbours had a small flock of goats they were grazing in the backyard were we stayed. Traditional law has a complicated system requiring gifting from extended families in the event of a birth, death or marriage. And the families here are BIG. 8+ children totally normal. More children, means more chance of success and survival; so families see every child as a blessing. The gifts usually take the form of livestock, so the kept goats, pigs and buffaloes are rather a living bank account, for the rainy day when some distant cousin gets married – people have no intension of eating the animals themselves. When a niece or nephew moves away to attend university, the extended family can be expected to contribute money. When our friend Nani departed for her studies in Jakarta, her whole family came to the docks to send her off. She was the first person in her family to attend university. She’d told us they waved with tears of pride in their eyes, the success belonging to more than just her as an individual, but an achievement for the whole family. Now, though she’s just a fresh graduate, Nani happily supports her nephews and nieces financially, in the hope they too can achieve their dreams. 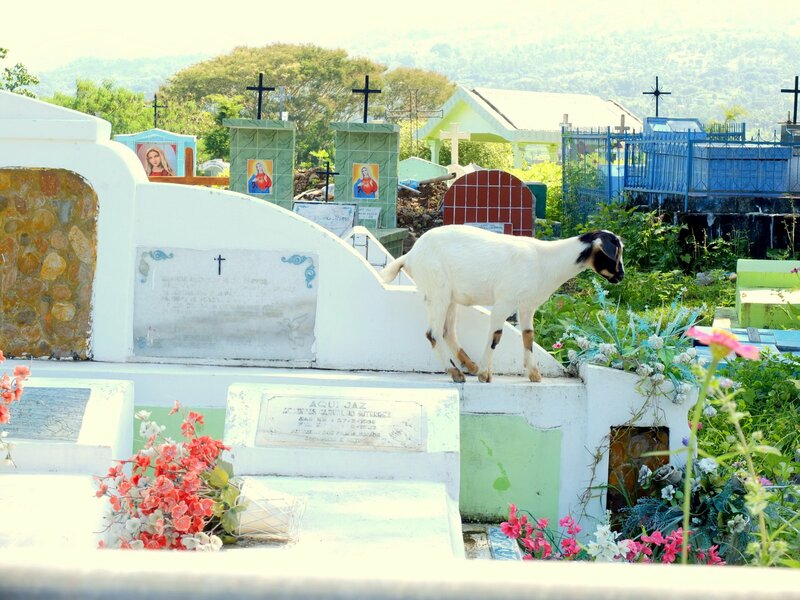 Goats and graves: animals are everywhere in Timor-Leste. The view from the Maubisse cathedral. In the foreground is the 3 pronged carved tree that is a reoccurring motif through out the countryside. Sunday best: off to church for the Palm Sunday service in Maliana. We’d been told, on getting out of Dili, language becomes really interesting. And complicated. Each district has its own language, making up about 17 different tongues. Some completely unrelated to any others. Some with a few distinct dialects. The country is only about 270km east-west and 75km north-south (that being less than the sprawl of the city of Melbourne)! The richness in speech likely comes about from the islands rugged terrain – the highest peak is 3000m. 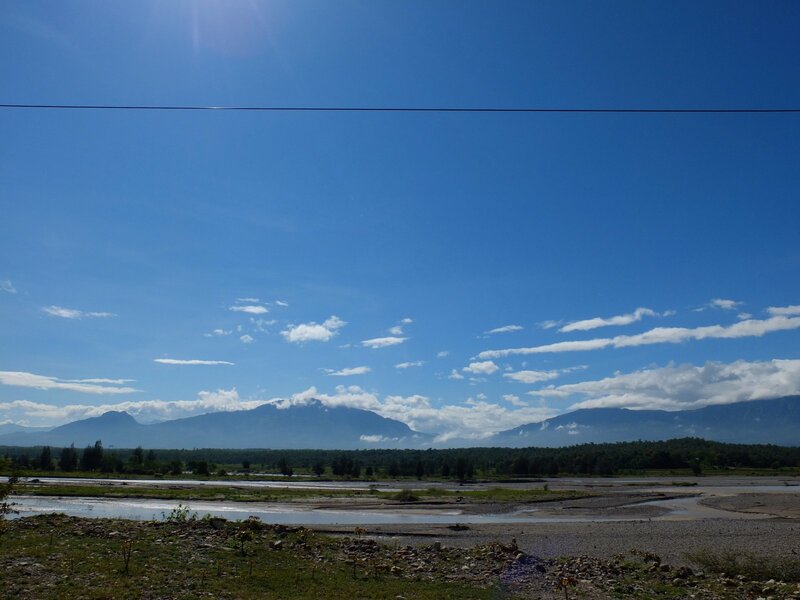 Along a main road it’s possible to arrive in a village were no one speaks the national Tetum. Tetum, a pigeon derivative, with a healthy sprinkling of Portuguese, is very much a language being developed. A national language under construction. 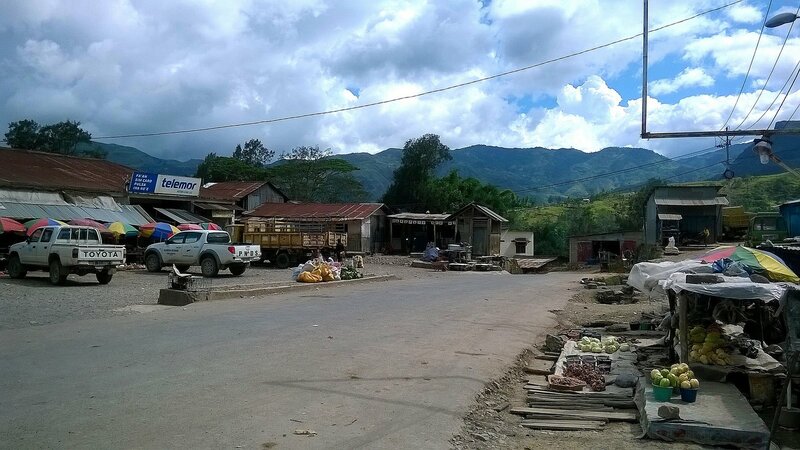 Tetum was the language spoken between districts for trading, leaving it quite limited in its capacity to talk about emotions – how does that effect a country? The many languages then complicate the education system. Children usually speak the language of their district (1), plus the language of the district their other parent comes from (2), Tetum must be spoken for school (3) and they’re exposed to Indonesian on television all the time (4). Then mathematical concepts enter their classroom, taught in Portuguese (5)… No wonder they get confused! Getting a grasp on so many languages so young seems to slow the learning of the children. Probably it’s not the maths that’s the problem..! 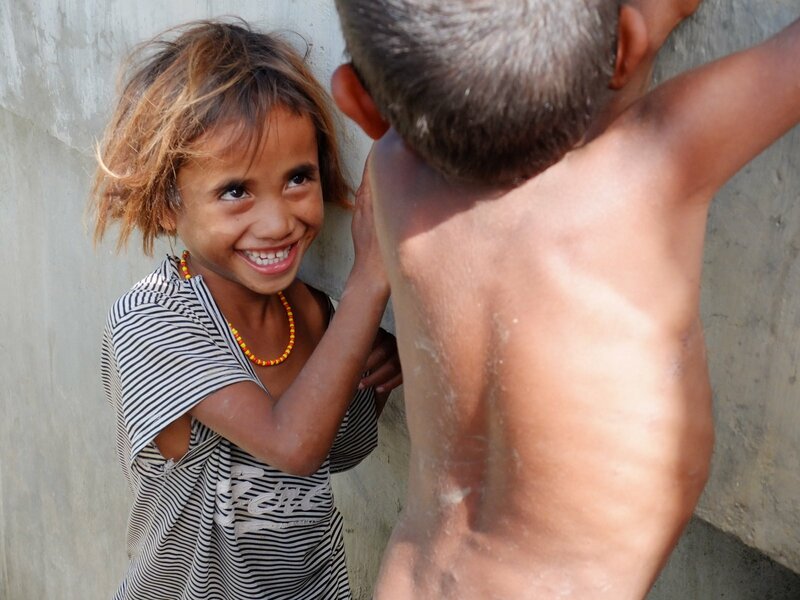 In Dili, we’d spent time with a 7 year-old Myanmar, refugee boy who could also speak English. We could see Ibrihim’s frustration at being unable to express himself, as his little brain ticked over 4+ possible tongues. Or was his level of frustration normal for a 7 year-old? Off to school: educating children is not simple in a country with such linguistic richness. Language masters: village children playing. 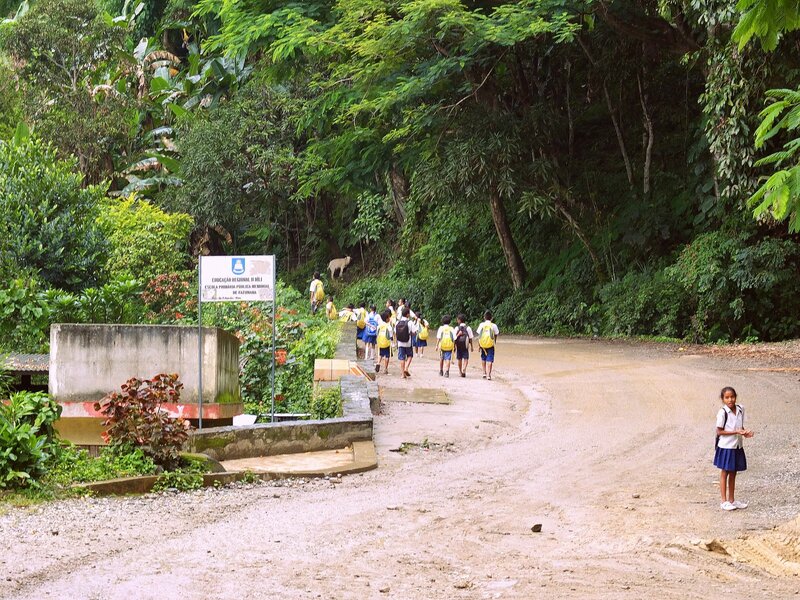 In the end, it will take us 6 hours to make the 70kms between Dili and the town of Maubisse. And the beauty awaiting us there will make the journey all worthwhile. 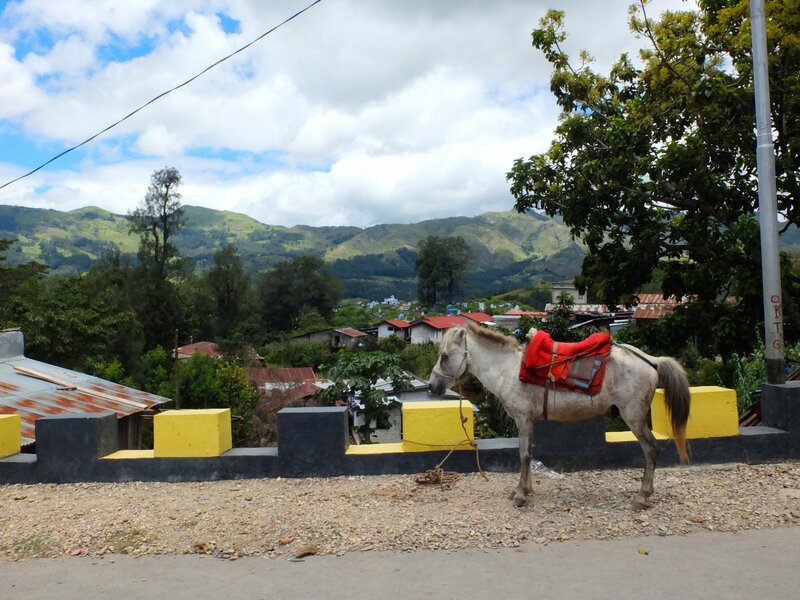 Main street, Maubisse: using horses for transport is common in the districts of Timor-Leste. Cars and motorbikes are in-affordable and a horse beats walking. Many people walk long distances, if they have no horse. 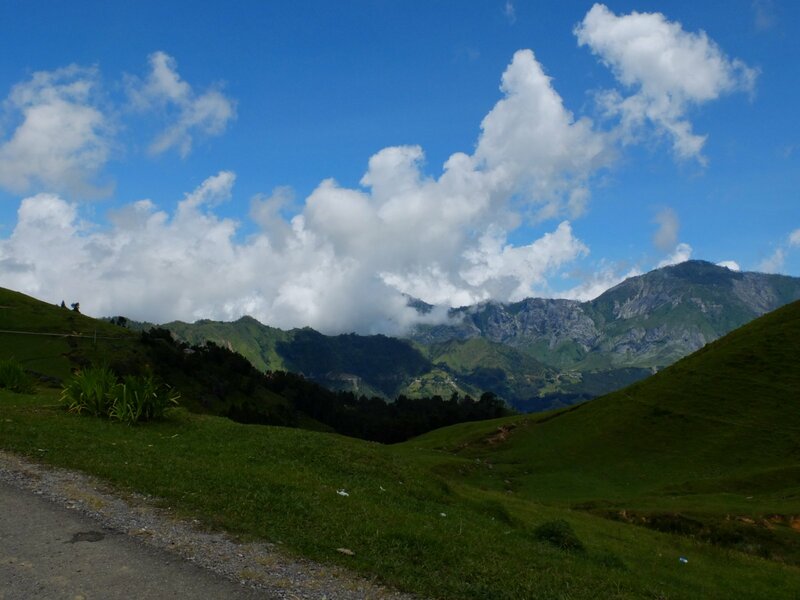 The rugged mountainous landscape is breath-taking. This was taken near Mt Ramelau (2986m), Timor’s highest peak. P.S. We were truly touched by the big hearts of the Timorese people. 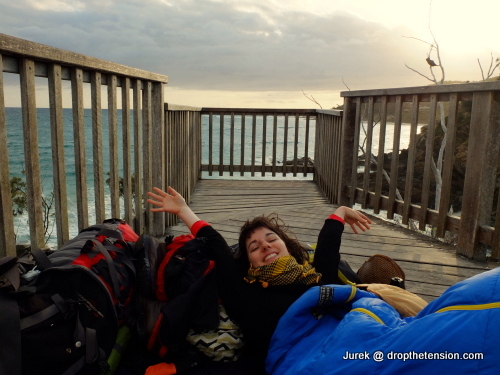 Jurek actually became ill with high fever during our stay in Maubisse. Everyone took great care of us. A local with some English called his brother to come with his motor bike to take Jurek to hospital. 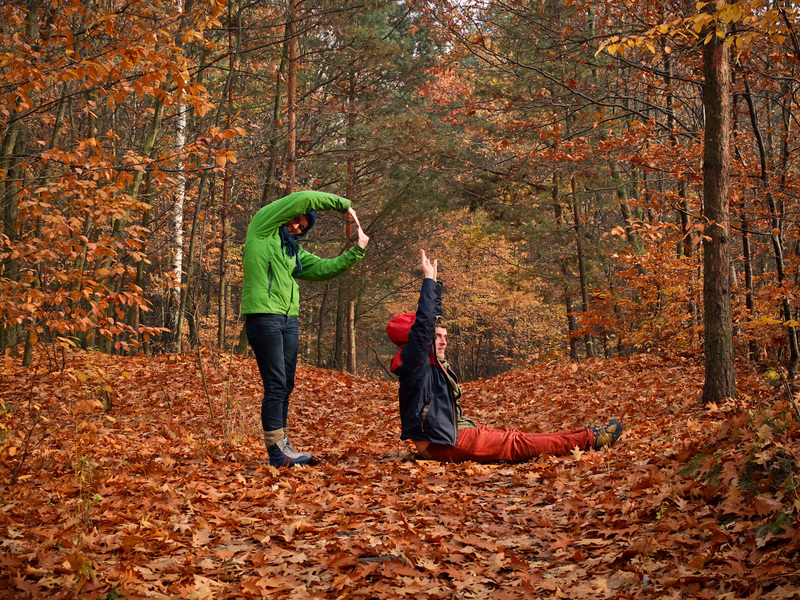 When I arrived, the brother was patiently waiting to see that Jurek was okay and would not accept money for fuel. The hospital gave us a few medicines after making their examination. ‘We’d like to pay’ I said. ‘No need. Just pray for us’ replied the doctor. I celebrated my 25th birthday during our time there and was taken on a horse ride to a farming village. At the village, I was meet with smiles, coffee and corn on the cob. They weren’t expecting me. At the end, my guide refused money, as it was my birthday. We were strangers to the town and couldn’t speak the language. Truly humbling. 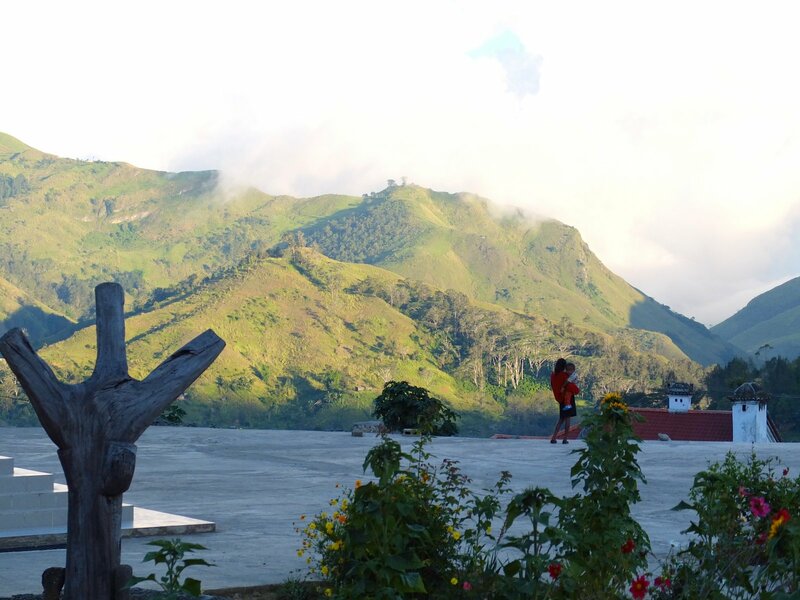 Learn more about the feel of Timor-Leste’s capital and country’s recent history here. 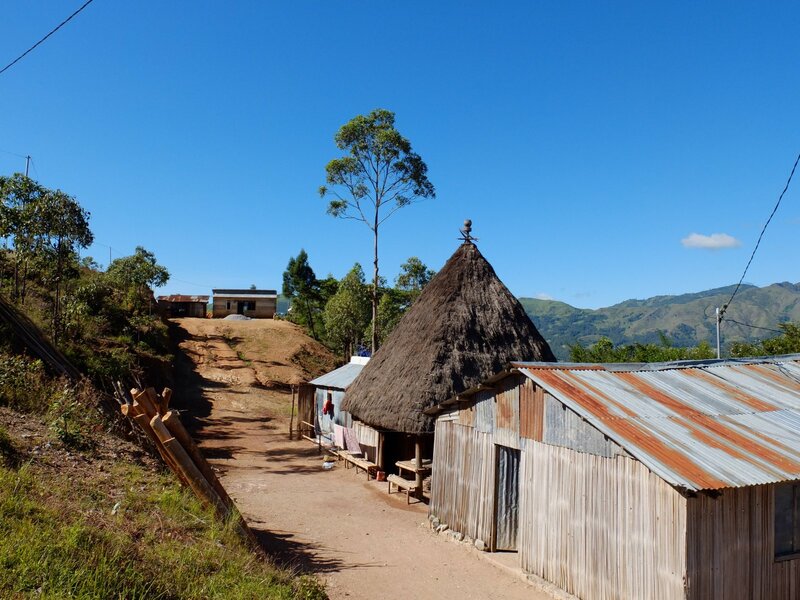 Pingback: Conscious projects in Timor-Leste • Drop the tension!